With the holidays right around the corner, here are two festive rice dishes that would be the perfect addition to your family table. Both dishes celebrate fall flavors and ingredients. 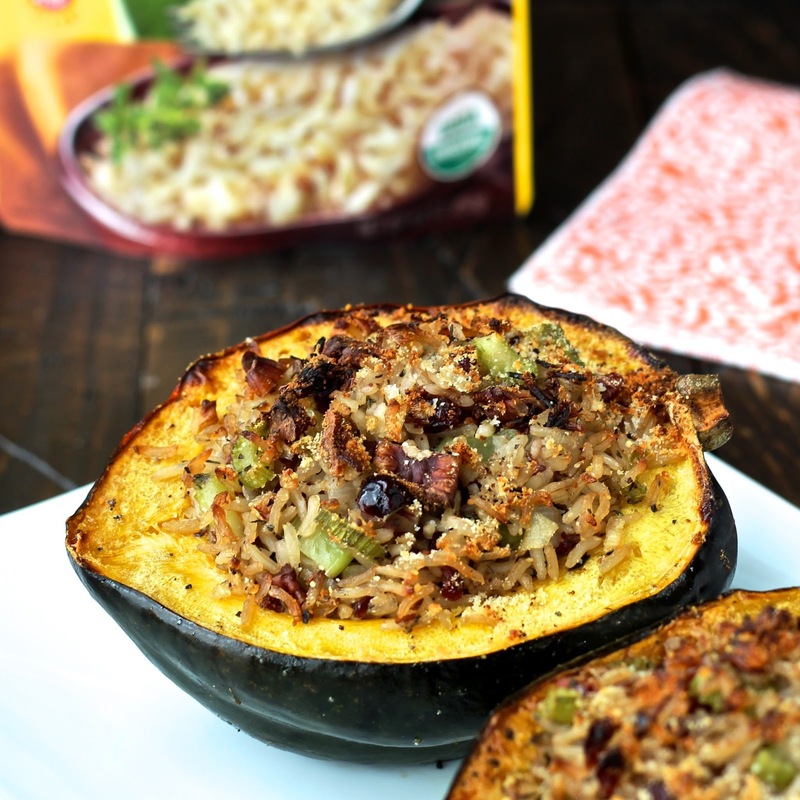 My Stuffed Acorn Squash pairs Tasty Bite brown rice with aromatic vegetables, crunchy pecans, sweet dried cranberries and salty Parmesan cheese. The earthy flavor and chewy texture of brown rice works well in this hearty baked dish that would make a lovely side dish for the holidays. My Pumpkin Spice Rice Pudding uses fragrant Tasty Bite jasmine rice, and is the perfect holiday dessert. Flavored with delicate pumpkin and warm fall spices, it has a rich, creamy consistency that your guests will love. To get these recipes and read more about the differences between white and brown rice, head over to the Tasty Bite website HERE. heading over NOW because this looks amazing! Oh my goodness, both of these look AMAZING! Especially the stuffed acorn squash, which is one of my favorites 🙂 So healthy, too! I've been trying to find more ways to use brown rice, in ways that I will like it, so I am heading over to check out this recipe!